February 11, 2018 1:40 pm. Britain’s youngest trainer Amy Murphy has celebrated the biggest win of her career with Kalashnikov in the Betfair Hurdle at Newbury. The 25-year-old, who spent six months in Australia with Gai Waterhouse before becoming assistant trainer to Luca Cumani, gained her licence in September 2016. 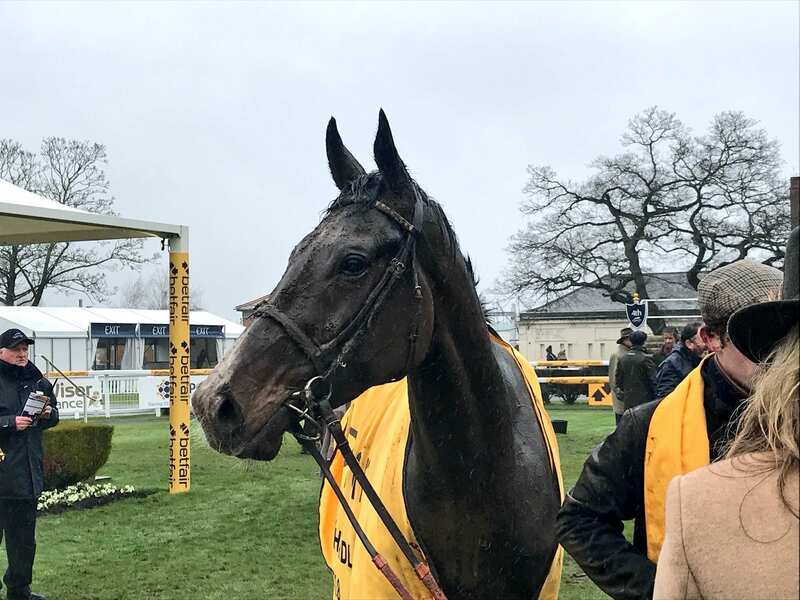 Kalashnikov won three races last year and stepped up to Britain’s richest handicap hurdle on Saturday (Sunday AEDT) worth STG155,000 ($A 274,000). After having his colours lowered for the first time in his career in last month’s Tolworth Hurdle, the lightly raced five-year-old cast a talented field aside when he ploughed through the testing conditions to take the Grade Three event. “It is unbelievable. I’m lost for words,” Murphy said. “He has romped home. I’m not very good at watching them. I couldn’t see him half way round and I couldn’t hear him on the commentary, then when they turned into the straight, I could see what was left of his white face. “He is unbelievable and I can’t describe how lucky I am to have a horse of his calibre. “I’ve been watching the weather for every hour of the last week. I can’t wait to get him on good ground. Murphy will now set Kalashnikov for the Supreme Novices’ Hurdle at next month’s Cheltenham festival.